I'm amazed that people complain about poor quality from the FZ-50. I've had mine for three years. It is tough, easy to use and gives incredible quality. My camera has been with me from Spitzbergen to the Antarctic Peninsula, has been wet, cold, hot and dirty and never hiccupped. Admittedly I seldom used a higher ISO than 100, but when I did have to go to the top end of the ISO range I thought the quality was very acceptable given the conditions. (Panama Canal at night, Garibaldi Glacier at midnight). Its a great camera for shooting one handed while driving a zodiac! Having a 420 mm lens that is so compact is amazing under those conditions. I found the shutter delay and slowish focus a handicap with flying birds, but got some great shots anyway. The old lady is starting to show the signs of abuse on the exterior, but still functions perfectly. Still and all, the FZ50 is a great instrument in the right hands. I also have an FZ20 which in some respect gives superior images to the FZ50 in terms of sharpness, but the color values are a bit off. If Panasonic would upgrade the FZ20 with the Venus IV engine and hold the ISO to 80 then that might work miracles. As always, update your camera at your own risk! 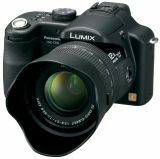 I purchased my Panasonic DMC-FZ50 camera new in 2007 for $650. This semi-pro camera has many custom settings and requires some knowledge of digital cameras and photography to use. I was disappointed because it did not perform as well as my Olympus C765. I expected better image quality for the money I paid. However, there is very little shutter delay with this camera except in lowlight conditions. I quickly found I could not use this camera at all in low-light due to camera shake and noise. There are many settings on this camera that cant be used at all. ISO 400 or higher produces too much noise and anything less than 10MP deteriorates image quality. However, I have taken many wonderful shots when lighting is good and I can use 100 or 200 ISO. At 400 ISO it is noisy no matter what the light source is. Zoom works well at 420 mm it gets you close to your subject and focuses well. At highest resolution a very impressive 10MP shot can easily be enlarged to 20x30 with no loss of detail at all. I prefer to take landscape shots with this camera simply for that reason. Because of its light-weight and zoom range 35mm to 420mm, I still use it often. Its a good alternative to carrying around my heavy Nikon D-80 and telephoto lens on a monopod. In addition the flip out LCD makes photos from unique angles possible with ease. Its a good camera. I would recommend it for anyone who isnt quite ready for a DSLR. This camera retails for around $600. One of my favorite photos taken with this camera http://www.pbase.com/rollosphotos/image/91938567 . RAW and hot shoe, could have been perfect but surely too many magapixels for the sensor size? Being an ex 35mm user, with over 50 years experience, and using mainly low speed films, 25asa/64asa then I am very happy with the performance of my FZ50 at 100 iso. All the fuss about noise, you should have used 400asa emulsions, to experience grain/noise. Pixel Peepers! Get out and use the camera, stop looking for faults. And I don't work for Panny, too old, been retired over 15 years. Bad image quality, lost of detail is rediculous. I am blaming the excessive NR. Had it for 2 days and then returned it. Other than lost detail, everything else looks fine. So if you are not too much into sharp and detailed pictures, this could be the one for you. argh! always disappointed with new cameras... hello megapixels! hello noise!! bye bye image quality! At least, with the film, we hadn't that problem! This camera looks really promising and it's packed with full range of manual and creative controls! Unfortunately, the noise reduction in JPEG is too high (even if set to LOW). Very good examples of lost details due to in-camera noise reduction can be seen here (full res. images)..
or these full res. crops..
At all levels of ISO you could see lost details (it's really extreme in comparison to RAW) and the things getting extremely bad from ISO 400 and above. It would be great if we could turn the noise reduction completely OFF. 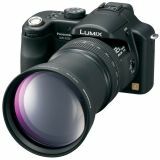 And this is calling for all semi-pro and pro Panasonic users..sign this "Panasonic LX2/FZ50 Firmware update" petition..